WASHINGTON, DC. – The Spring 2017 issue of the American Coal magazine has been shipped and is now available. It has also been sent in a convenient email “flip-book” format suitable for your hand-held devices. 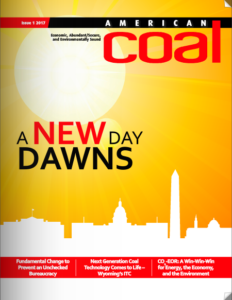 The new issue features articles from Wyoming Congresswoman Liz Cheney, writing about the importance of coal to the western states and the value of federal leasing for job creation. Rep. Cheney is joined by West Virginia Attorney General Patrick Morrisey, Janet Gellici of the National Coal Council, Wyoming Infrastructure Authority’s Jason Begger, Longview Power’s Jeff Keffer, Jim Truman of Wood Mackenzie on topics ranging from steps Congress and states can take to prevent future “wars on coal,” development of carbon capture and use technologies, and the outlook for metallurgical coal. 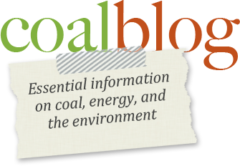 If you aren’t already a subscriber, please contact Terry Headley at theadley@americancoalcouncil.org and we’ll sign you up! Editor’s Note: If you have an idea for an article for a future issue of the magazine, please contact Terry Headley.